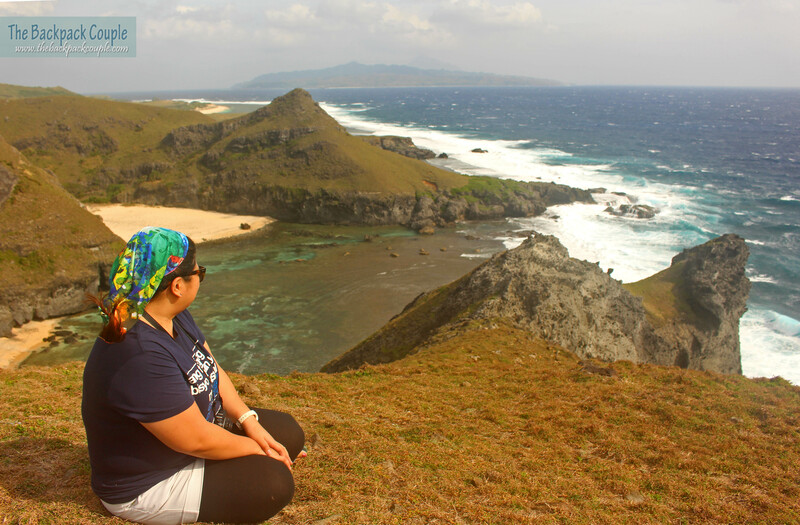 As we were exploring Batan Island during the first two days of our trip touring North and South Batan, our guides would always build our excitement by saying that Sabtang Island will be the cherry on top of our already amazing tour. To experience this for ourselves, we began the day by driving to the Port of Ivana, located just in front of the San Jose de Obrero Church. 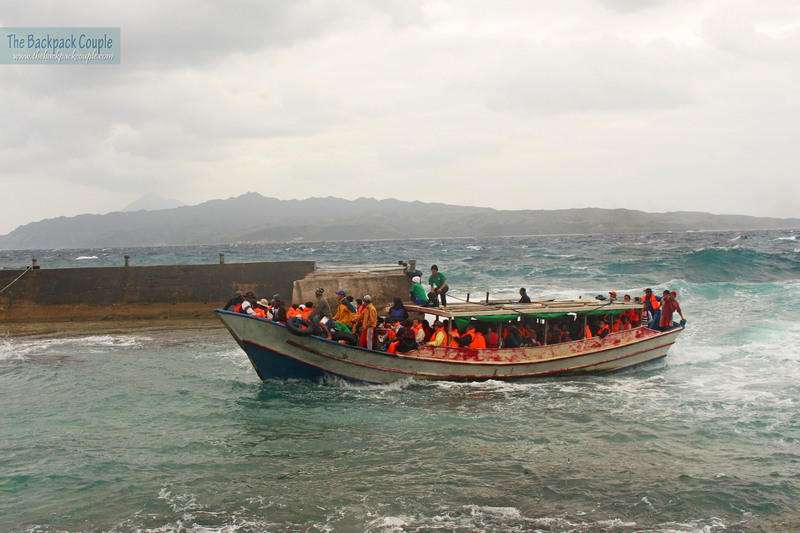 Sabtang Island is 40 minutes by faluwa, the historical Ivatan fishing boat. With its wide bottom and the noticeable absence of outriggers, it is not uncommon for first time passengers to be concerned about safety. But worry not because the faluwa is especially designed to surf the tumultuous ocean waves in this part of the Philippines. 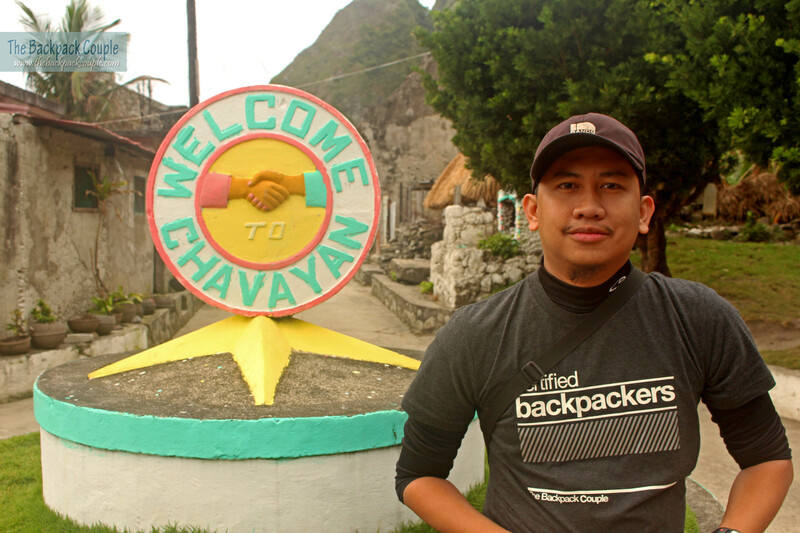 Upon arriving in Sabtang Port, we headed straight to the tiny and lovely village of Chavayan. 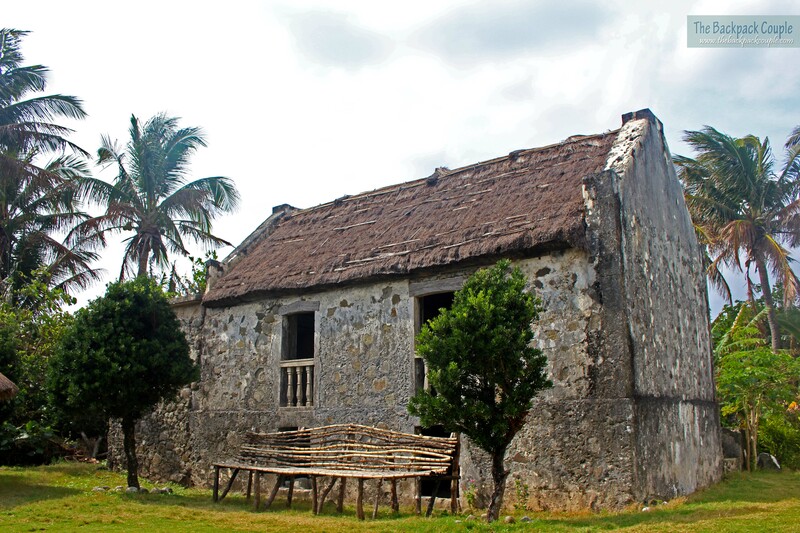 Here, guests can see the centuries-old Ivatan stone houses, many of which are nominated for the coveted UNESCO World Heritage Site inscription. 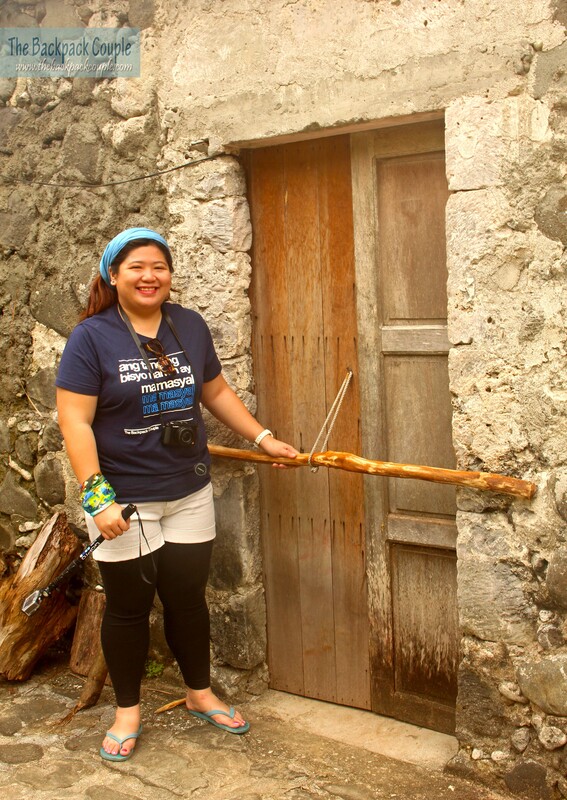 With narrow streets lined by stone houses and embraced by lush mountains, Chavayan is naturally picturesque. Don’t miss the pretty, pastel-colored facade of the Sta. Rosa de Lima Church. 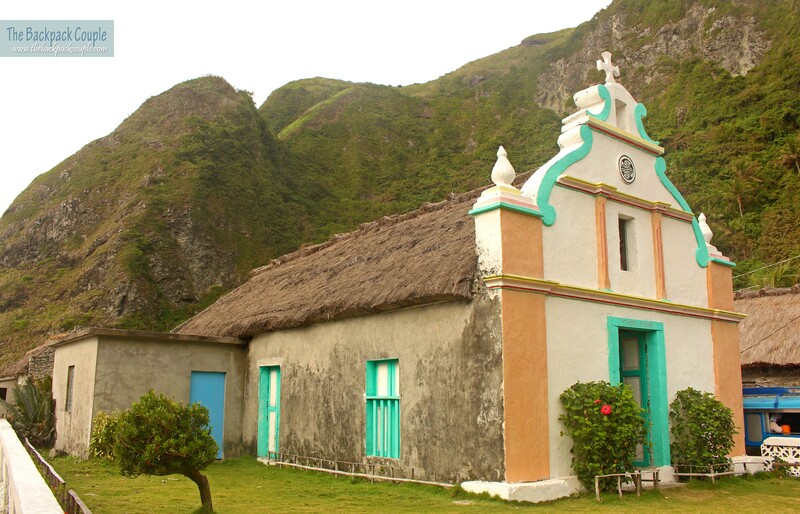 Batanes is known for its honest and trustworthy citizens. This is how they lock their doors in Chavayan — yes, from the outside. 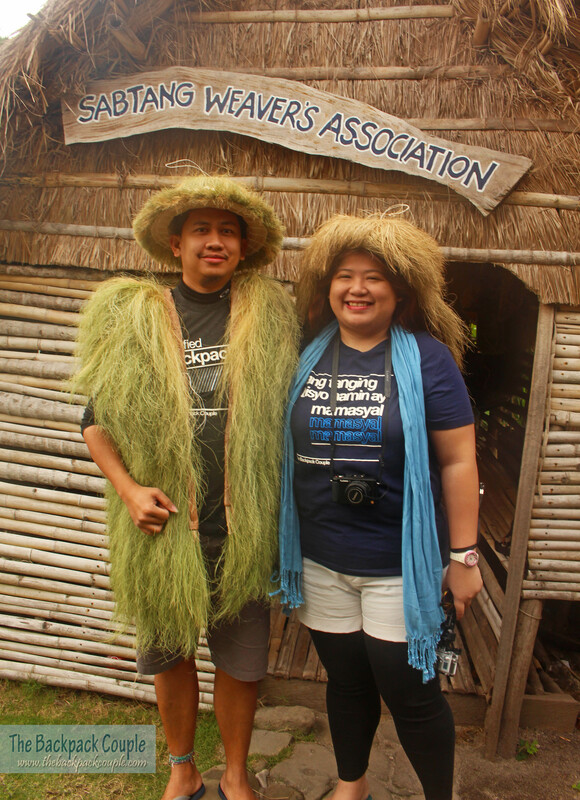 Head over to the Sabtang Weavers’ Asssociation where female visitors can don the easily recognizable Ivatan headdress called vakul, while the men can try on the vest called kanay’i and the wide-brimmed salakot. 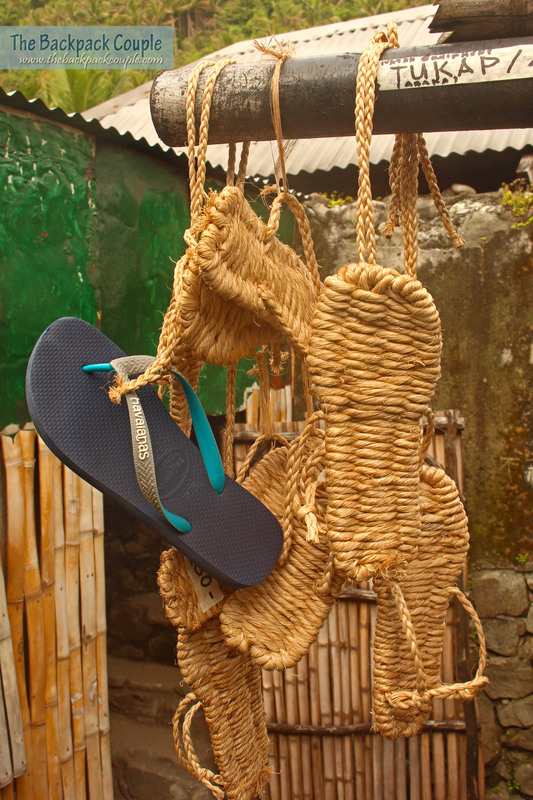 All of these are made from vuyavuy, a species of wild palm that is endemic in Batanes. Slippers called ‘tukap’ made by Chavayan locals. These protect the feet when walking on rocks and sharp corals. We call this the “Chavayanas”. Hehe. We left Chavayan Village and drove along narrow coastal roads to reach the Chamantad-Tinyan Viewpoint. From the road, you can go for a hike to reach hills that provide breathtaking views of hidden coves, tall cliffs and the violent crashing waves of the sea. Our guide repeatedly described this place to us as something out of JRR Tolkien’s Middle Earth due to its otherworldly beauty. He was not wrong. As much as we had wanted to stay for a little while longer, the wind was blowing strong which made it quite cold. 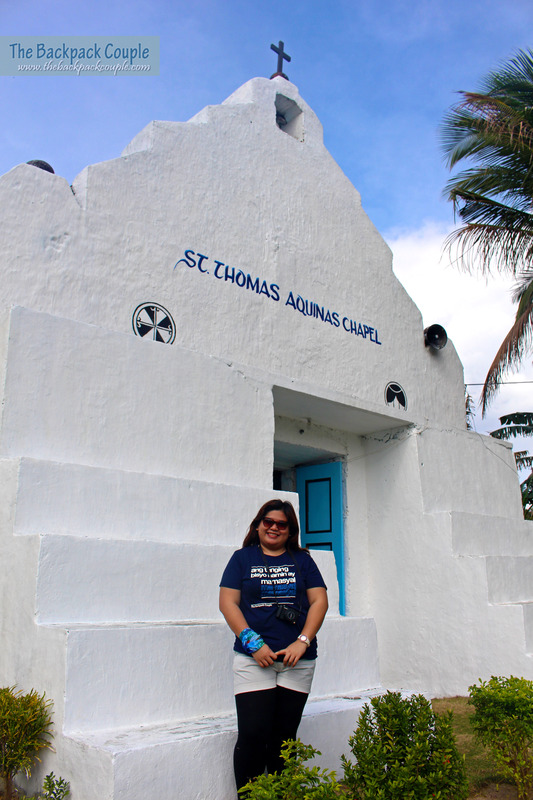 Our next stop was the village of Savidug with its (even more) stone houses, the charmingly antiquated facade of the Old Beaterio, and the clean, white walls of the St. Thomas Aquinas Chapel. 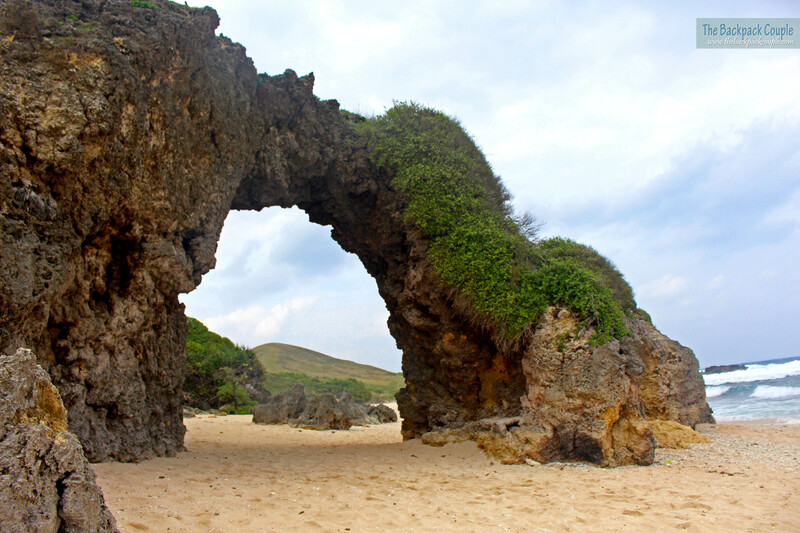 The last in our Sabtang itinerary is another famous Batanes attraction, the Ahao Natural Arch. 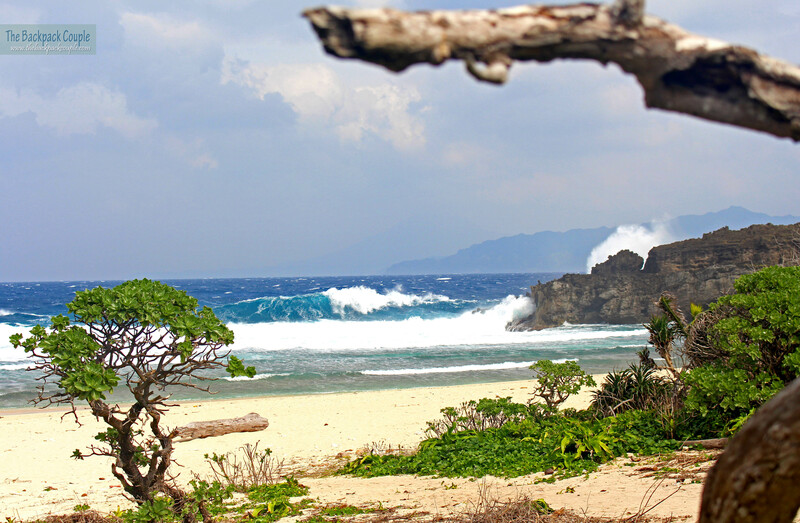 The low ceiling of the Nakabuang Cave and the pebbly white sand of Nakabuang Beach are located nearby. 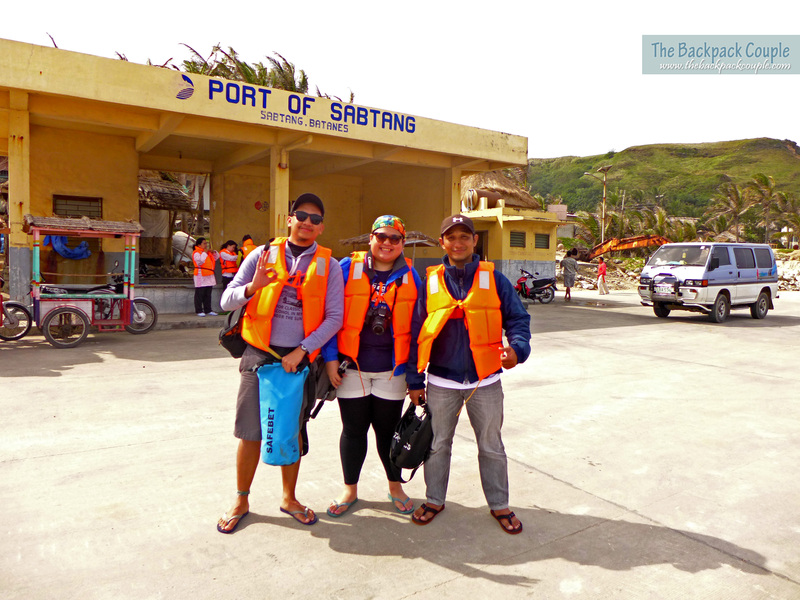 Full from another Ivatan lunch feast, we made our way back to Batan Island via another nail-biting faluwa ride. 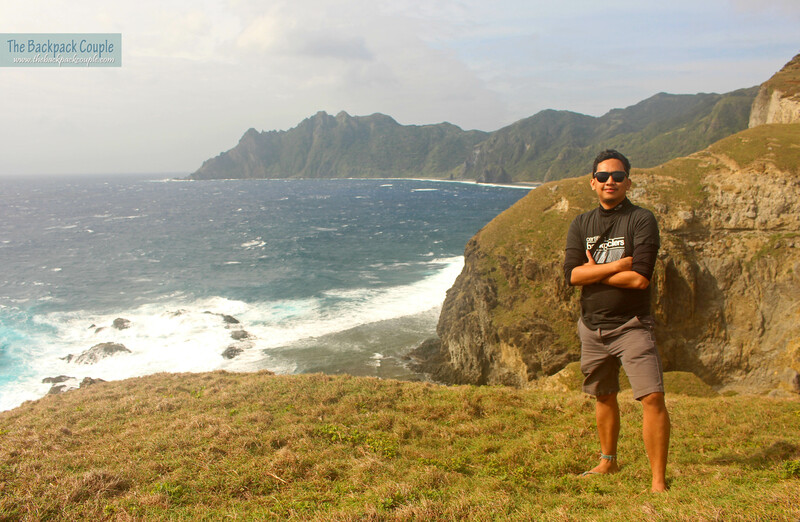 Two days later, still overwhelmed by its legendary charm and grateful for the kindness shown by the locals, we left the island of Batanes, undoubtedly the most beautiful place we have been thus far. We can’t wait to come back. The safest way to reach Batanes is via plane. Philippine Airlines (PAL) safely flew us to this northern paradise despite the usual overcast sky. PAL flies daily from Manila to Batanes. Follow @flypal for timely seat sales and travel fairs. In our case, we are lucky to have availed of a promo round-trip fare in last year’s Travel Madness sale. Skyjet also flies DAILY to and from Batanes. During our 5-day vacation in Batanes, we mostly stayed at Crisan Lodge for only Php 2,800 for 4 nights (at a discounted 700/night). With its cheap & cozy rooms, clean restrooms and a convenience store downstairs, Crisan Lodge (09158490178) was our home away from home. Not to mention, the very friendly and helpful owners Sir Mon & Mam Crisan Imperial. We also stayed for one night at Berlen Lodge (09204784003 c/o Ms Elena Villarta), which is very near the airport. 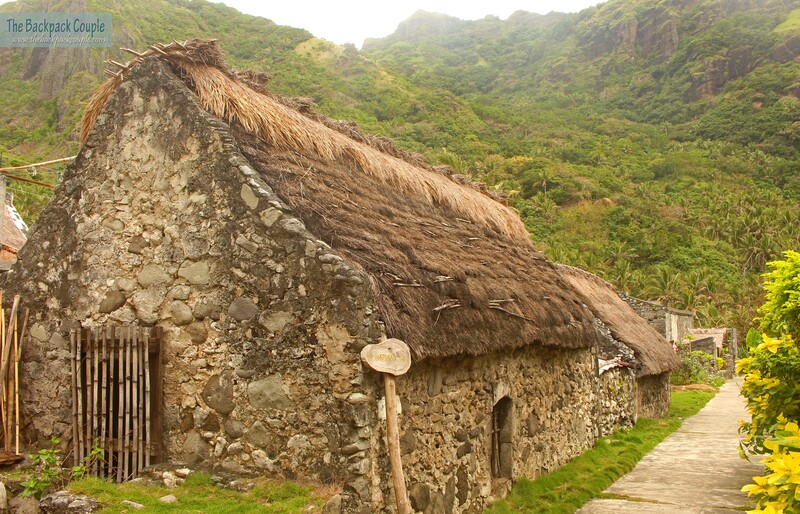 A number of affordable lodgings are available in Batan Island, with Marfel Lodge probably as a popular affordable accommodation option. Some of the famous restaurants in Batan include Casa Napoli and Octagon Restaurant, to name a few. However, with their steep prices, it’s not practical to eat out for every meal. Many of the lodges accept ‘paluto’ (home cooking), where you can ask the hosts to cook simple meals at prices that will not hurt the pocket. In our case, we would go out to buy freshly grilled pork barbecue and we’d ask our hosts to cook steamed rice for us. 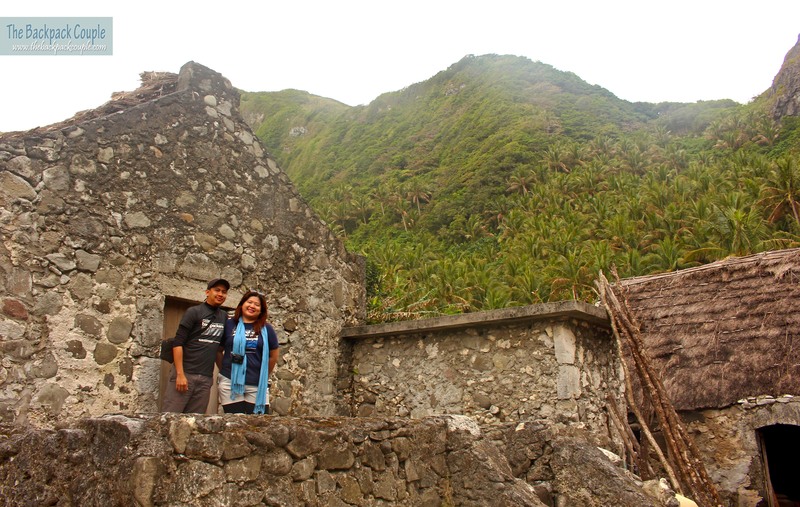 A lot of Batanes tours are available online, but we acquired the services of BISUMI Tour and Services. They turned an ordinary vacation into an educational tour thanks to their kind and knowledgeable guides. Every little thing was accounted for from the moment they pick us up until they drop us off in our lodge, so we had nothing to worry about. Definitely recommended. You can checkout their page for tour & rates details. 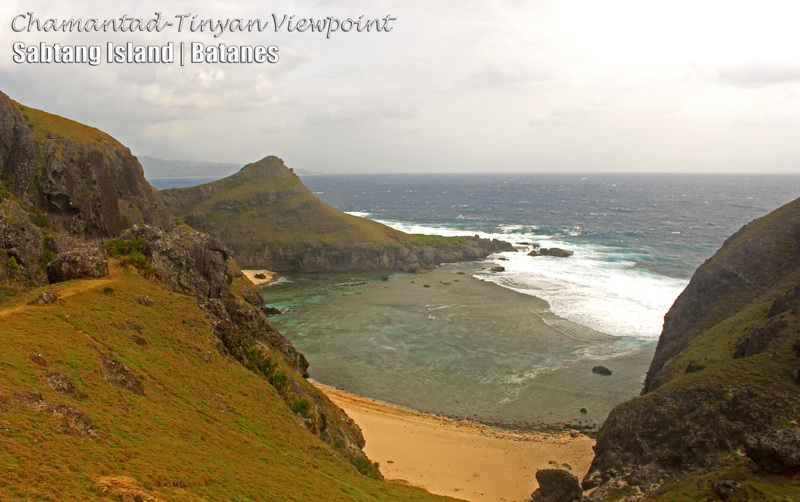 You can also try Chanpan Tours and Services Batanes. Shout out to our guide, Sir Art & Sir Kinoy. Thanks to our amazing tour guide, Sir Art of BISUMI Travel and Tours.